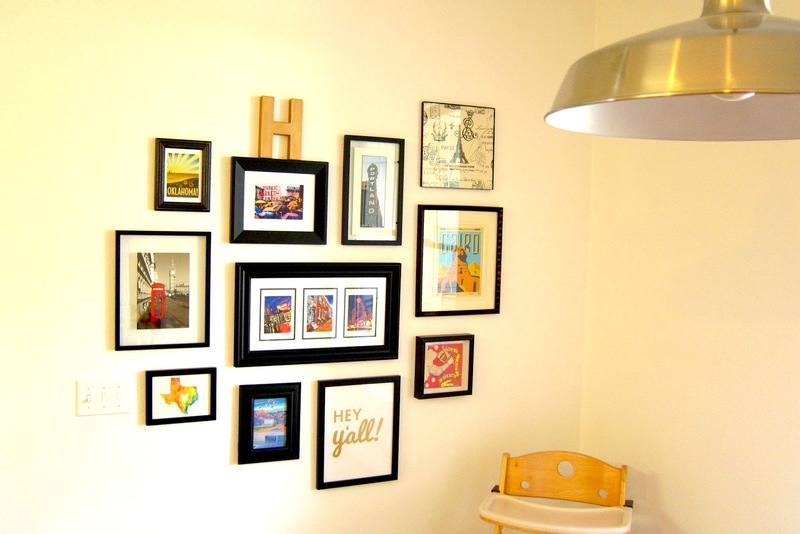 Gallery walls are on trend and everywhere! Some designers may say they're overused, but let's face it...how else do you neatly display a collection of art, pictures, photos, and prints? I personally love a gallery wall because it tells you a lot about a family or person. It can tell you who they are, what they love, where they've come from, and (in our case) where they've been. My favorite gallery wall in our house is in our dining space. We've dubbed it the "places we've lived and been" wall because we like to collect prints, photographs, and art from all the locales we've been blessed to travel and all the states we've lived in. Our gallery wall doesn't include every place we've traveled because we have art from some places in other parts of our home, but it does show a good representation of some of our favorite cities, states, and/or countries we've been to so far. We've kept it simple with all black frames, which keeps it cohesive despite all the colors, shapes, and mediums. It's almost starting to resemble a heart, huh? 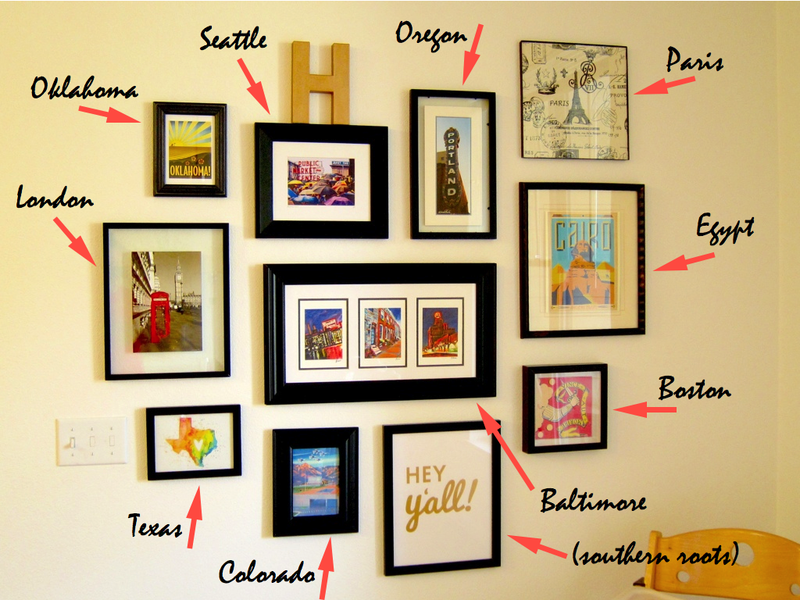 Do you have a gallery wall in your home? What have you chosen to feature? My gallery wall is similar to yours! I framed walking maps of all the cities I have visited! Kristen, this is so timely and I can't even express to you how excited I am that you posted this. We just spent the day kicking around Portland and talking about all the places in the city that my father-in-law has lived... it's been A LOT. We were thinking how cool it would be to do a map or a book with photos. I love the idea of doing a gallery wall for him since he has Alzheimer's and will be moving into facility soon. Just a little something to perhaps be familiar in his new place.